Considering the rapid degradation of the environment due to anthropogenic activities, tree plantation is the urgent need of the hour. 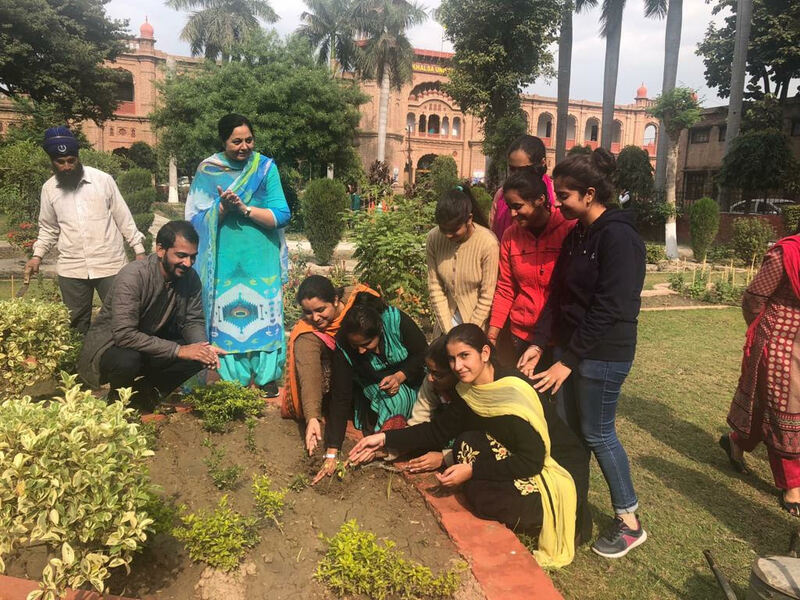 With a promise to save environment, the students of P.G. Deptt. 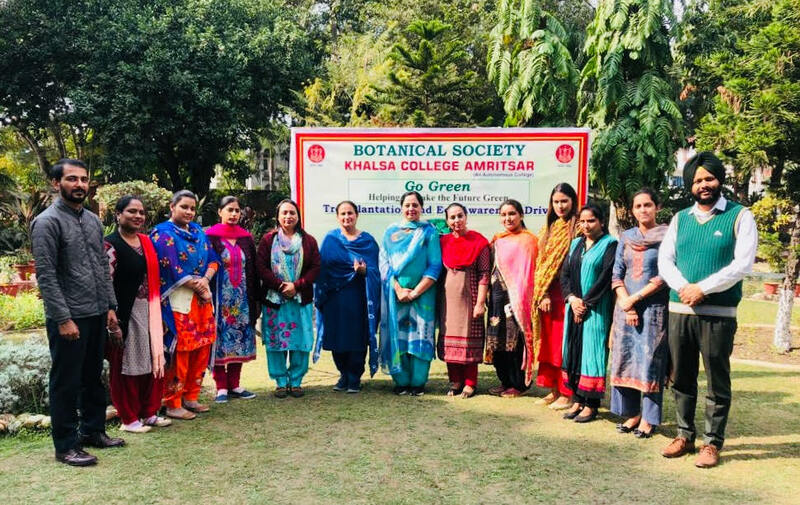 of Botany of Khalsa College Amritsar carried out "Tree Plantation and Eco-awareness Drive" in the month of November 2018. 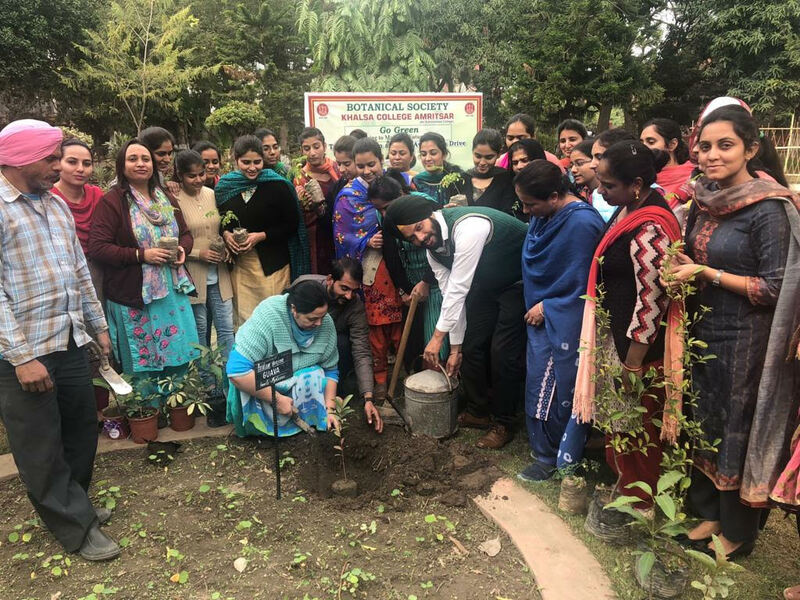 The students along with the faculty members planted saplings in the Botanical garden and college campus. The saplings of Neem, Ashoka, Moringa, Citrus, Guava, Sapota and various ornamental and medicinal plants were planted during the drive. 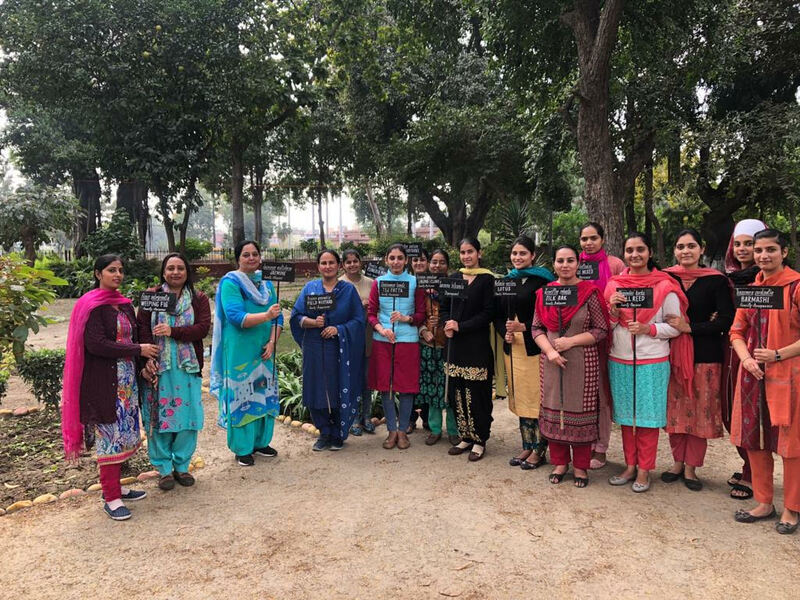 Prof. Kirandeep Kaur, Head, P.G. Deptt. 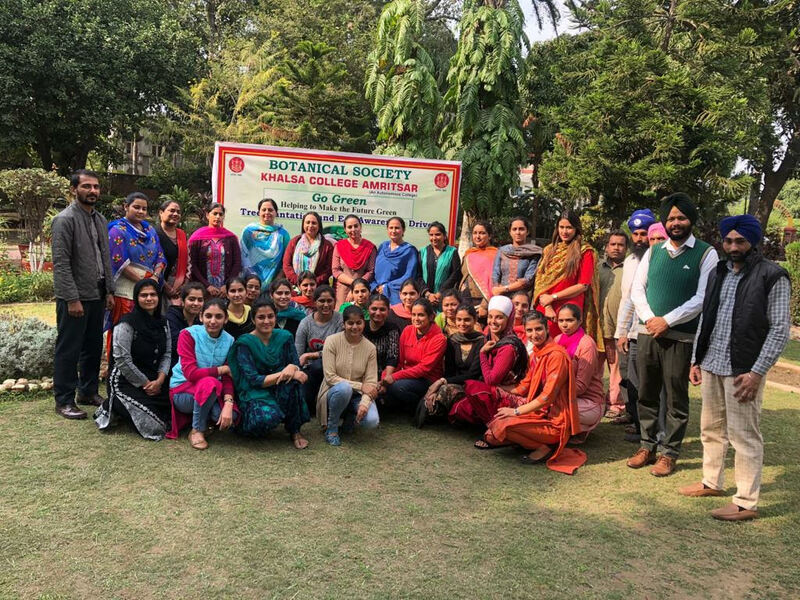 of Botany addressed the gathering and emphasized the importance of trees in every aspect of human life. She further added that planting of trees is especially important to protect our environment against air pollution and global warming. 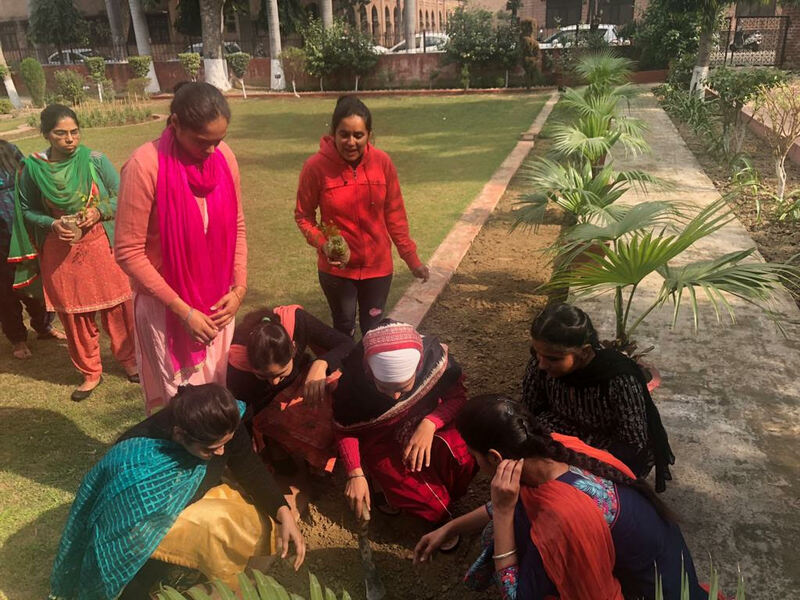 Young volunteers were encouraged to actively involve themselves in organizing tree plantation campaigns as it is one of the most substantial solutions to combat the harmful effects of climate change. 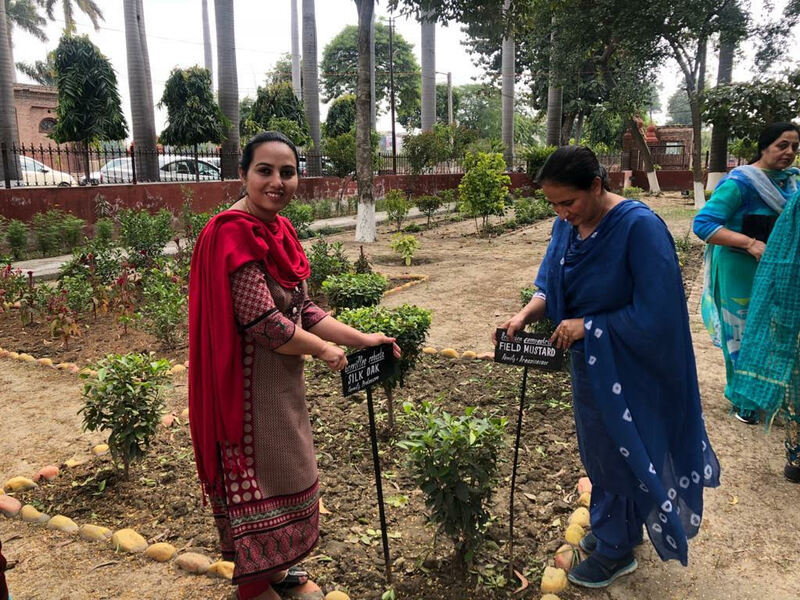 During the drive, the students also identified the existing flora of the campus using botanical literature and the name plates bearing the botanical name and family of the plant were installed against the respective trees.